Speech is one of the greatest abilities we’re given in life. It’s one of the most important and diverse forms of expression which draws people closer together and helps individuals stand up for themselves, too. Not to mention, for singers and talk show hosts, their voice is how they make their money! If you’re among the talented group of people who can make a living off the way your voice sounds, you need to keep your vocal cords in great shape. Part of this means preventing vocal nodules and carefully treating them if they ever occur. Here’s a closer look at this condition and how vocal therapy can benefit your cords. Vocal nodules are rough growths on the inside of your vocal cords. They typically appear in groups, with each growth ranging between the size of a pinhead and a pea. These growths are non-cancerous, but they do affect how your voice sounds when you speak and sing. These can also cause strain in your throat, and the pain progresses if not treated. Vocal nodules occur when the voice has been overworked. This can happen if you’re constantly using it to sing, speak loudly, or yell for a long period of time. They may sometimes appear if a person is a regular smoker or drinker, or if they have a medical condition like hyperthyroidism or sinusitis. Whatever it is that has caused your vocal nodules to appear, you have to figure out a form of treatment as soon as possible. The longer you let this progress, the harder it will be to make these growths go away. More nodules may appear and the ones you have will continue to grow until you begin treatment. Before you jump into surgery, though, consider all the benefits vocal therapy can offer you. The 5 biggest benefits of vocal therapy for vocal nodules are listed below. Getting surgery is not exactly the easiest thing to go through. It’s a scary process that involves a lot of intricate medical details. Not to mention, it may take some time to find the right surgeon who understands your unique needs and is readily available to perform the operation. This prolongs your treatment and creates a lot of unnecessary stress. Then, there’s also the recovery process to deal with which further sets you back from performing again. Vocal therapy is readily available to you as soon as you decide to take this approach to treatment. It’s not as expensive as surgery and it’s provided via both online and in-person services. Whichever approach you decide, you’ll be well on your way to treating your vocal nodules as opposed to schedule doctors appointments. This is the more cost-effective form of treatment and it gives you the most value for the time you’ll be investing in taking care of your voice. Another benefit of vocal therapy is that it actually teaches you about how your voice works. When you perform various vocal exercises and work with a specialist, you become much more aware of the things you do with your voice every single day. You start learning about how to take better care of your voice and to be smarter in the way you use it. This improves your likelihood of preventing future vocal nodules. It’s an empowering form of treatment that not only makes your current vocal nodules go away but enhances the long-term health of your voice. As you work with a vocal therapist, you’ll start to pick up on habits that you can do on your own time. The at-home exercises and natural treatment suggestions they give you eventually become a part of your day to day routine. Before you know it, your nodules will be gone and you’ll be able to care for your voice much better than before. With everything you learn from a vocal therapist, don’t be surprised if your voice’s strength and power improve. This is arguably the best benefit of all. When you take the time to treat your vocal nodules naturally, you’re conditioning your voice to work better. This minimizes how much strain is put on it between your work and personal life. It makes it easier to use your voice when singing high notes and talking a lot throughout the day. Before you know it, you’ll be hitting new notes and being able to perform better without working as hard as you used to. This will transform the way you enjoy what you do – and how well you do it. Start Treating Your Vocal Nodules Today! You can read about the benefits of vocal therapy all you want. But, it’s only when you start to put in the work that you’ll begin to notice the differences in your voice. It’s worth learning more about how your vocal cords work and the best ways to take care of them whether you’ve already been diagnosed with vocal nodules or not. In fact, the smartest form of treatment against vocal nodules is prevention! Start learning how to strengthen your voice today so you don’t have to worry about vocal nodules tomorrow. Click here to access all the vocal therapy you need to protect your beautiful, money-making voice. Each year, there are 9.9 million new cases of dementia. This disorder poses financial strife for both patients and our health care systems. Its economic impact is huge- the fight against dementia costs nearly $818 billion per year. Many patients opt for rehabilitation or occupational therapy, in addition to cognition-enhancing medication. An increasingly popular option of the treatment for dementia is speech therapy. Learning how to effectively communicate with others is imperative for dementia patients. But, speech therapy doesn’t just treat lost speech and language function, as many think. It also improves memory loss deficits and many other cognitive functions. Let’s take a further look into why speech therapy is a viable treatment option. At its core, speech therapy is an intervention service focused on improving both verbal and non-verbal language. There are two basic components that a speech pathologist teaches. Dementia patients tend to seek speech therapy to improve their current functions. It’s common for speech-related issues to progress with the onset of dementia. But, in some instances, patients with Alzheimer’s and other dementias speak just fine. They still often seek an individualized therapy to combat their cognitive deficits. Before we discuss the benefits of speech therapy, let’s look at the three stages of dementia. Gradual confusion and mood/personality changes mark the early signs of dementia. It’s common for patients to become irritable or frustrated over unusual things. You also may notice your loved one to develop anxious and/or antisocial tendencies. Routine chores become far more taxing, as initiative slowly declines. Not only does it take longer for patients to complete tasks, but they’re also less focused to finish. Patients tend to get lost more easily, so going out in public also becomes more challenging. You may also notice your loved one is commonly misplacing their personal items. They could accuse others of stealing or hiding and grow more irritable. The middle stage of dementia is more of an ongoing progression of early symptoms. You’ll notice their confusion is much more evident than before. Their memory loss has heightened, so they’re forgetting even the most recent events. Dementia symptoms are much more prevalent in the late afternoons and nighttime. You may find your loved one struggles more right before bed. It’s common for them to be suspicious, irritable, fidgety, and restless. They start forgetting who their family members and close friends are in this stage. They may be more talkative towards strangers or mistake strangers as someone they know. The final stage of dementia is very distressing for both patients and caretakers. Most patients have lost the ability to recognize those closest to them. They may even not recognize themselves in the mirror. Without treatment, patients may lose the ability to communicate with others. You’ll notice they hardly use words to interact, but rather groans, moans, and screams. Even with a good diet, it’s common for them to lose weight. They grow self-conscious about their eating habits because they’re more fidgety and shaky. They may also sleep more than usual. Dementia affects a variety of cognitive functions, including memory, attention, and visual perception. This accumulation of symptoms often leads to impaired judgment, disorientation, and even depression. Speech therapy is a great way for patients to maintain a level of independence for longer. It helps stimulate cognitive ability through activities related to the underlying cognitive domain. Individuals working with a speech pathologist learn how to compensate for their deficits. They learn to modify their environment, which is crucial. This helps them adapt to the ongoing cognitive changes caused by dementia. There are several different memory regurgitation techniques such as spaced retrieval, errorless learning. 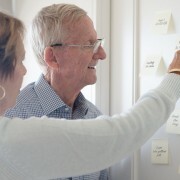 Many dementia patients also rely on the use of memory Books and other types of external memory aids. Speech-language pathologists can also assess how a patient eats, drinks, and swallows. If there appears to be any dysfunction, they’ll offer management strategies for mealtime. They can also gauge the individual’s capacity to consent to treatment and care. Caretakers should rely on this person to communicate relevant information to the patient. This ensures they’re able to process the information as accurate as possible. If you care for someone with dementia, you could also learn quite a bit from a speech therapist. They offer support to caretakers who wish to learn how to manage their loved one’s symptoms. Learning how to communicate with your loved one can make a world of difference. After all, dementia patients’ behavior is hardly random. It’s often triggered by specific conditions related to their direct environment. Improved communication among patient and caretaker can also lead to a better quality of life on both ends. It minimizes stress and anxiety and fosters a stronger sense of peer relations. Dementia is a heartbreaking condition that claims millions of new victims each year. Patients eventually lose the ability to communicate and use other cognitive functions. That’s why it’s imperative they find the right treatment. Great Speech offers videoconferencing technology to deliver individualized therapy sessions. Those seeking treatment for dementia no longer have the need to go into an office. They can tap into the power of speech therapy right from their homes. Schedule a free consultation with one of our team members today! If you suspect that your child might have a social pragmatic disorder (or social communication disorder), you probably have a lot of questions. Social pragmatic communication disorder is a diagnosis, and it’s gone by many different names in the past. This disorder is characterized by the difficulty with the use of spoken language in socially appropriate ways. Children with SCD may be able to pronounce words and construct sentences, but they will struggle to hold conversations. This can make it difficult to make friends and perform well in school. Let’s break down SCD as a disorder–and how you can find help. What Is Social Pragmatic Disorder? So why is it called social pragmatic disorder? Children with SCD have trouble with pragmatics, which are the underlying and unspoken rules of spoken language. The pragmatics of language include changing the way you speak in different situations, altering the tone or loudness of your voice, and understanding social cues in speech. Clients with SCD might not understand how to hold a conversation. Some of them might talk too much and interrupt frequently, while others might not talk at all. This has nothing to do with the way the children were raised or how they were taught manners by their parents. For reasons that still aren’t clear, people with social pragmatic disorder struggle to learn how to use language in a socially appropriate way. How Is It Different from Autism? In many ways, this difficulty to communicate can overlap with signs of autism. Many medical professionals might diagnose children with SCD with autism. However, new research has shown that some children with SCD don’t show any signs of autism–and therefore, they’re not getting the right treatment. Social pragmatic disorder was only recognized as an official diagnosis in 2013. The American Psychiatric Association (APA) added it to the Diagnostic and Statistic Manual of Mental Disorders (DSM) in an effort to bring light to the condition. For years it was considered a symptom of language impairment, a sign of autism spectrum disorder, or a different developmental disorder. Autism also involves difficulty with social communication, but it also involves restricted and/or repetitive behaviors. Before a diagnosis of SCD is reached, an evaluation must rule out autism. Making this distinction can be difficult because many behaviors overlap between autism and SCD. In fact, SCD can occur alongside other disorders including learning disabilities, speech sound disorder, and ADHD. You should always consult a professional for an official diagnosis. What Causes Social Pragmatic Disorder? It’s not clear exactly what causes social pragmatic communication disorder. These kinds of disorders occur in about 5 to 15 children per 10,000 births–but it’s unclear how many of these include SCD as a diagnosis. Because it overlaps with so many other disorders, the cause and prevalence of SCD are unknown. It’s thought to be a neurodevelopmental disorder that affects the brain’s right hemisphere. This may make it more difficult for individuals to process both verbal and visual information at the same time. It may also be related to challenges with executive functioning. What Are the Next Steps If Your Child Is Diagnosed? Symptoms are most often present in early childhood, but they may not be recognized until years later. If you think your child exhibits signs of SCD, take them to a physician or a psychologist for an official diagnosis. The goal of this testing is to analyze your child’s verbal and non-verbal communication in different settings. This will help identify whether these skills are underdeveloped or affecting your child’s ability to learn and form relationships with others. Once you’ve gotten an official diagnosis, you can start thinking about treatment for social communication disorders. Treatment plans can include a speech therapist to work one-on-one with your child to teach them strategies and reinforce their skills. You can also work with your child’s school to develop an Individualized Education Program (IEP), which can include speech therapy, skills training, and in-class support or accommodations. Play some games that help your child practice taking turns. This could be as simple as tossing a ball back and forth or repeating words or sounds. Start with just you and your child before you move on to other people. Read books and stories aloud to your child. Encourage them to engage with the material by asking open-ended questions like: “What do you think about what this character did?” Focus on emotions or feelings, such as what a character in a story might be feeling and why they feel this way. Plan some structured play dates for your child. You can begin with just one friend at a time and set a time limit. Later on, you can introduce more friends or increase the length. Children with SCD may have trouble understanding your verbal or non-verbal cues. Try using visual aids to help set expectations or rules. If your child has social pragmatic disorder, there’s a lot you can do to help them develop their communication disorders. It’s important that you know what to expect–and get your child to a professional for a proper diagnosis and treatment plan. 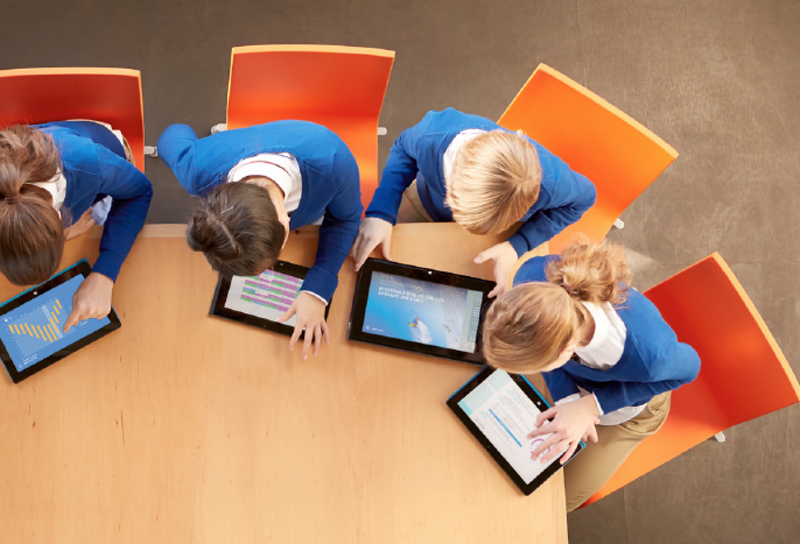 Looking for more resources to get your child on track? Contact us to learn more about speech therapy. As we gobble down the last bite of our Thanksgiving pumpkin pie, it officially becomes gift buying season. And toys are always on everyone’s gift list. As the mom of four boys, ages 2-16, I firmly believe that when it comes to toys, more is not merrier. This refocusing is particularly important for children with speech and language issues where a toy can become a resource, increasing their chances for success. The right toy can teach a child essential social skills such as patience, the importance of waiting for your turn and how to be a successful teammate as well as vocabulary, reading and memory skills. And with so many games now available in Spanish and other languages, the playing field is leveled for everyone. Traditional toys like blocks, dolls, cars and trains may look old fashioned by are excellent communication skill builders. Because they do not speak, you have too! And the more you talk, sing or show your creative side, the greater the chances your kids will too. Board and card games are the ultimate social engager. In addition to building a culture of family fun, board games are timeless. My favorites include Twister, a golden oldie which is great for teaching direction as well as body and spatial awareness, Apples to Apples, the ultimate game to teach vocabulary and word usage and Zingo, a fast-paced variation of bingo, which improves vocabulary and reading skills, matching, and memory. Hedbandz is also a winning and engaging way to master critical thinking. Anomia is my new favorite for word retrieval and increasing processing speed and Pandemic, a group strategy game which exposes children to the world of science and medicine. Otrio is a fun one for math and pattern building and Consensusis an interactive family game which builds vocabulary, particularly nouns and adjectives. Puzzles provide a superb opportunity to promote spatial intelligence as well as problem solving skills. The best part is your child can play solo or you can make it interactive by adding other players. I also love toys which break gender and racial stereotypes and promote positive messaging. A favorite of mine is the Doc McStuffins games and toy series which incorporates pretend play skills essential for language development, with a black female doll playing the role of a vet, doctor and more. Can you receive too many toys? An overabundance of gifts presents lots of unique opportunities. There is the option of donating or you can categorize and rotate them. Older children can be involved in the process, a perfect opportunity to teach the art of making choices, sequencing and delayed gratification. Too many toys at one time can be overstimulating. Rolling toys out one by one or rotating toys allows for repetition, an effective strategy for children with speech and language issues. It also changes the perception of a toy from being “old” to “new” every time you bring it out. April showers bring May flowers as well as the celebration of Better Hearing and Speech Month. As a speech therapist and founder of Great Speech, I welcome the flowers as well as the opportunity to promote the connection between hearing and speech and the strides we have taken to improve communication. A recent study published by The American Speech-Language-Hearing Association (ASHA) has some major concerns about our communication skills being hampered by technology. Remember how we used to chat at the dinner table and enjoyed fun activities in the car? The access to technology has changed our behavior. We are now “plugged in and checked out.” The study points out that family members are texting each other while they are all home. Fifty percent check their phones at dinner and 67 percent are on their device during family leisure time. Equally as disturbing, 55 percent of teens state there are no rules limiting tech usage, which can be up to five hours a day. Why all the fuss about our lack of chatting? Having conversations plays an important role in developing language, social and listening skills. In addition, to hampering our language development, phone addictions can damage your hearing. The remedy: The Digital Diet. The rules? I think moderation is the key. Find a system that is palatable to your family and enforceable. Research shows that parents, particularly millennial parents, when informed of the risks, are willing to change their habits. Technology can be used to improve our lives. We can now explore resources, jump on new learning initiatives and my personal favorite, provide therapeutic intervention through telemedicine. Think about the limited medical access people have who live in remote areas or those who are homebound because of weather or physical conditions. In my profession, speech therapy can now be easily integrated into our daily routine without the hassle and inconvenience of traveling. Technology also provides access to highly specialized and qualified therapists by removing geographical barriers. There can be a happy balance. Embracing the Digital Diet on an individualized level can help bring old fashioned conversation back to the dinner table. And new technology will continue to remove geographical barriers and allow us to access new places, foods and people and flowers. Who is ready to implement the Digital Diet? Common perception is speech therapy is for kids. While many of our Great Speech clients are 12 years old and under, there is a growing trend of young and older adults who are looking to correct speech issues or learn new ways of communicating to facilitate success in the business world. Some had speech therapy as children and were not successful. Others did not have access to the right therapist or any services due to geographical or financial constraints and are now grappling with the problems as an adult. I currently have a client who is in the process of looking for a new job and is having difficulty being hired due to articulation issues. The good news is: It’s never too late to remediate. Sometimes we are not ready as children to put in the time and effort it takes to correct a speech-related issue. As adults, the added maturity can be a huge advantage. I recently read an article by Jon Westenberg who shared his personal saga of overcoming major speech issues and through ongoing speech therapy, determination and a strong, now speaks before large audiences. “The first thing people try and do is look for a way around those limits. A way around, instead of a way through. The way to break those limits is to learn new skills, and push yourself to try, fail and uncover data. Learning new skills is scary for all of us. Even as a seasoned speech therapist, I hesitate to commit to live TV segments. 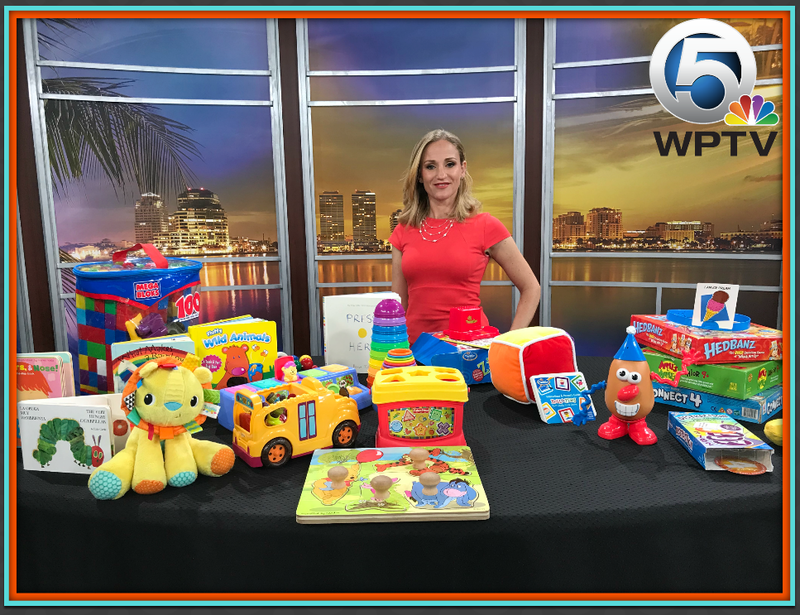 I recently was asked to share insights on toys which promote language on a live TV show. “There would be no retakes and do overs,” they explained. My first reaction was no. Then I did it. It was an amazing feeling. And I would do it again. It is in our best interests to go outside of our comfort zones, take risks, break the limits and reach for the moon. Even if we fall short, we will land among the stars, with support from clinicians trained to remediate speech problems. And while being a star may be a large and overwhelming task, it is no small accomplishment. Ready to see how online speech therapy can help you succeed in business? This refocusing is particularly important for children with speech and language issues where a toy can become a resource, increasing their chances for success. 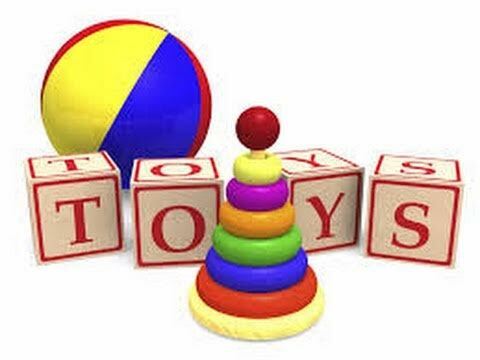 The right toy can teach a child essential social skills such as patience, the importance of waiting for your turn and how to be a successful teammate as well as vocabulary, reading and memory skills. And with so many games now available in Spanish and other languages, the playing field is leveled for everyone. Board and card games are the ultimate social engager. In addition to building a culture of family fun, board games are timeless. My favorites include Twister, a golden oldie which is great for teaching direction as well as body and spatial awareness, Apples to Apples, the ultimate game to teach vocabulary and word usage and Zingo, a fast-paced variation of bingo, which improves vocabulary and reading skills, matching, and memory. Hedbandz is also a winning and engaging way to master critical thinking. An overabundance of gifts presents lots of unique opportunities. There is the option of donating or you can categorize and rotate them. Older children can be involved in the process, a perfect opportunity to teach the art of making choices, sequencing and delayed gratification. Rotating toys allows for repetition, an effective strategy for children with speech and language issues. It also changes the perception of a toy from being “old” to “new” every time you bring it out.